Let’s imagine that you love taking great photos. You might be a professional photographer, or a retail associate in a boutique camera shop, or maybe it’s a hobby you’ve spent years perfecting. Regardless, you know all about the various different cameras on the market, and why one DSLR is priced differently from another. You can speak to which lenses are best for landscape, and which work best for a close-up portrait of your dog. In fact, you’ve become known for, well… knowing all of this. So well-known that your friends and family come to you with questions when they’re looking to invest in their own camera equipment. They even send their friends and family in your direction. 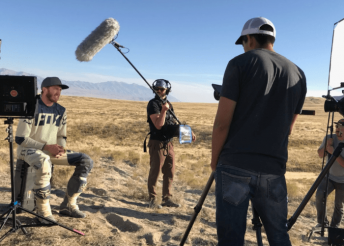 When someone approaches you with a question about cameras, you’re ready to help lead them in the right direction for what products will work for their needs. And they’re ready to take your advice, and go buy those products. According to a recent panel surveying members of ExpertVoice, it’s because you have knowledge and experience related to those products. ExpertVoice surveyed more than 1,000 experts on their recommendation behavior: where recommendations happen, why they occur, how often, and with whom. The responses provide great insight to a brand looking to reach consumers on a more trusted level. This panel of members — people we refer to as experts — range from knowledgeable retail sales associates to experienced pros. And in an average week, more than half of these experts are recommending products at least 11-20 times per week. 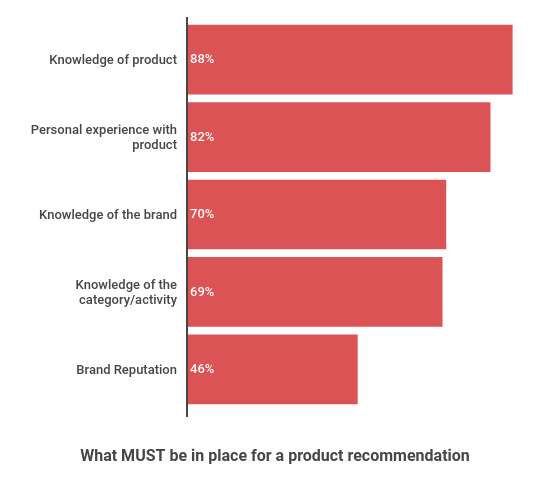 In fact, 24% of respondents give more than 30 product recommendations every single week. Where are they doing it? Most recommendations happen in a retail setting or at the location where an activity takes place (like a gym, trail, or track). 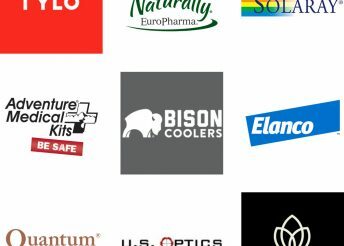 Experts tend to recommend products in their place of work, and 60% of experts on ExpertVoice are affiliated with a retailer. Since most experts are recommending products either at work or while participating in an activity like running or wakeboarding, let’s examine some of the finer details behind those recommendations. Experts learn about products in multiple ways: reading about them, watching product videos, working in a retail store, or even from a mentor. In an overwhelming majority, 92% of experts state that having experience with products furthers their education. Before making recommendations, experts say there a few things that must be in place. Knowledge and personal experience with the product are paramount, and knowledge of the brand and its category are also important. 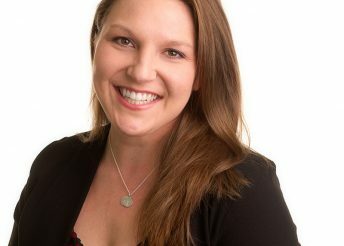 Interestingly enough, fewer than half of experts feel a brand’s reputation is important in recommending a product, leading us to believe that while people can develop loyalty to a brand, when it comes to helping someone find the right item for their needs, the specific product is more important than the brand name associated. Back to our scenario where you love photography, let’s consider why you would recommend something to someone, whether they are in the market or not. Perhaps you asked a pro photographer friend which travel tripod has served her well, and decided to test it out on a family vacation. Maybe you shared your thoughts with another friend who enjoys taking pictures while traveling, or loved it so much you mentioned it in an Instagram post. 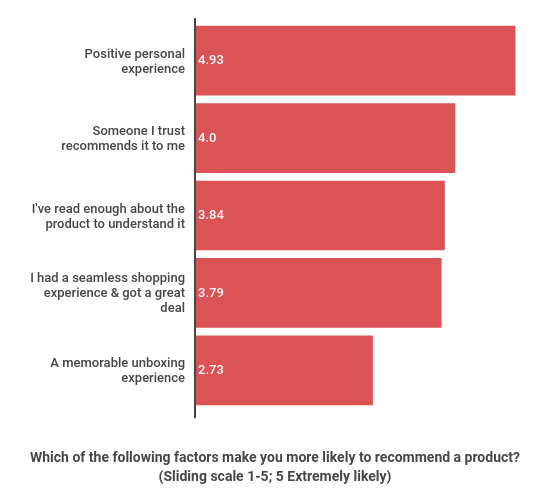 According to the surveyed experts, the most important factor in likelihood to recommend a product is having a positive experience using the product. Finally, we asked the panel about their motivation behind giving a recommendation. It might be easy to assume that financial incentive is the strongest motivation, but the panel reveals a different story. 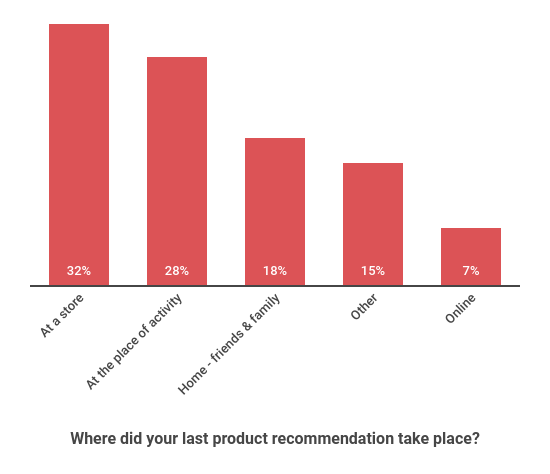 When asked what the best reward for providing a recommendation is, 52% of respondents state that it’s sharing their passion and expertise with others, and 35% state that it’s learning the recipient (who received a recommendation, and eventually purchased) used and loved the product. By contrast, only 1% of respondents state that earning a commission on a sale was the best reward. 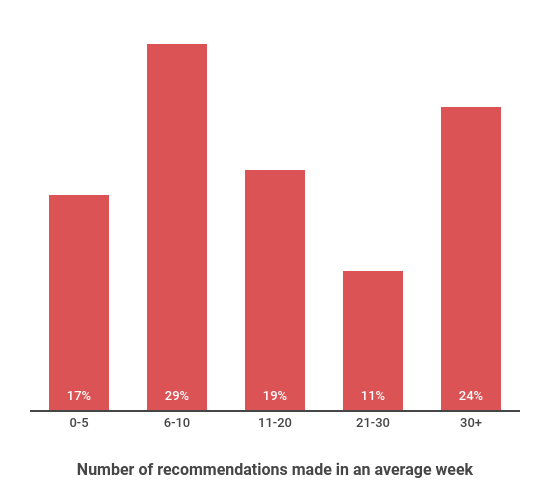 There are people out there giving recommendations every week (many of them in excess of 30 recommendations every single week) — people whose recommendations drive consumers to make a purchase. As evidenced by the panel’s responses, experience and knowledge about a product or brand are critical to an expert, and the brands who take the opportunity to influence a consumer’s purchase through educated consideration not only sell more product. 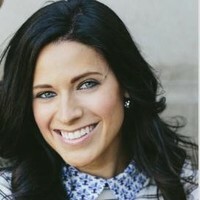 They develop loyal customers who in turn become educated recommenders.